Decades after Teenage Head played its last punk-rock show there, 201 St. Paul St. will soon be vacant no more. 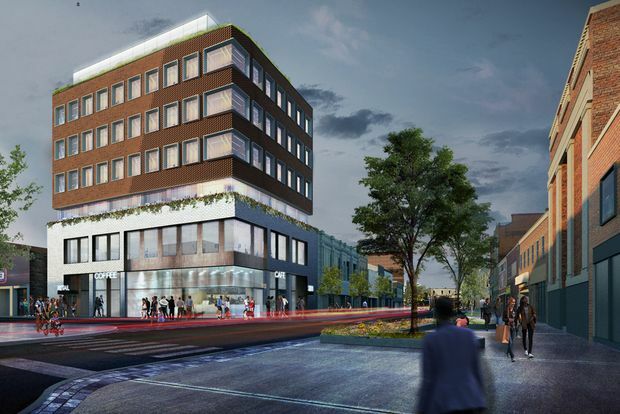 Bloom, shown in this rendering, is a seven-storey Class A office building planned for St. Paul Street in St. Catharines, Ont.. It’s the latest of many developments transforming the Niagara city’s core. The corner lot on downtown St. Catharines’s main thoroughfare still sits empty, as it has done since the 1996 demolition of the infamously decrepit Russell Hotel. But that is set to change. Last October, the city’s council approved Bloom, a seven-storey Class A office building that’s slated to combine soaring ceilings and expansive windows with roomy outdoor terraces and high-end tech infrastructure. 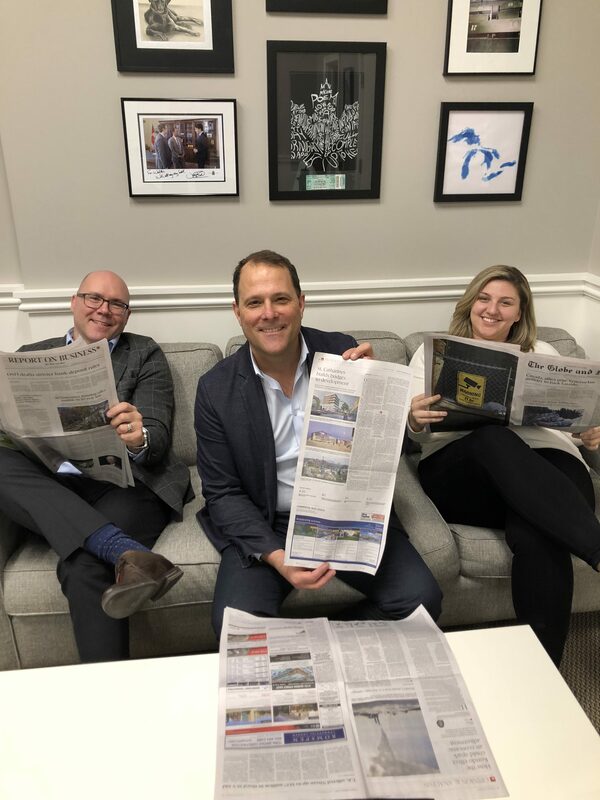 Bloom is but one example of downtown St. Catharines’ property development boom, which is being fuelled by a mix of public and private investment, savvy urban planning, and forward-thinking government policy. “These are exciting times,” says Walter Sendzik, mayor of the Niagara-region city of 130,000 about 120 kilometres south of Toronto along the Queen Elizabeth Way. The first stage began in 2010, when the city unveiled its Garden City Plan, a 191-page, long-term land-use strategy that was formally approved shortly after the province designated most of downtown as the sole Urban Growth Centre in the Niagara region. This designation provided public funding that has totalled more than $270-million so far, and established a density target of 150 residents and jobs per hectare, up from 109 in 2006. Four years later, the opening of the 5,300-seat Meridian Centre arena helped answer the Garden City Plan’s call for a vibrant core. Owing to the Meridian Centre’s valley setting and the shortage of nearby parking – a major sticking point among proponents of a suburban venue – an elevated pedestrian walkway was built to link the $55-million arena to historic St. Paul Street. Brock University’s $42-million Marilyn I. Walker School of Fine and Performing Arts opened next door in 2015, with the $62-million FirstOntario Performing Arts Centre completing the revitalizing triple play shortly thereafter. 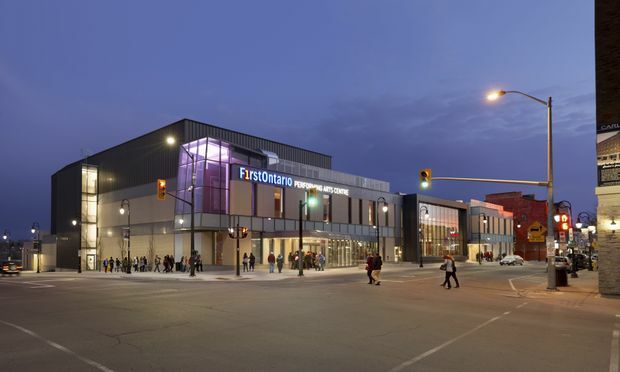 The $62-million FirstOntario Performing Arts Centre opened on historic St. Paul Street in 2015. It’s one of three public institutions recently built to revitalize downtown. This new vibrancy also inspired Mr. Kulakowsky to spearhead The Lincoln, the two-storey commercial development at 386 St. Paul where his company, Advisors Realty & Consulting, is now based. The former Lincoln Theatre is about 75-per-cent occupied, Mr. Kulakowsky says, with its 30,000-square-feet of commercial suites already housing eclectic tenants such as the SEIU Healthcare trade union, a financial services company, and a photography studio. An upscale restaurant, meanwhile, is slated to open on the main floor in February. Many downtown properties have also been extensively renovated. Last year, the former Niagara Regional Police headquarters at 110 James St. was converted into a six-storey innovation and technology hub by Clickback Inc., a software firm that now occupies the top floor. Then there’s the nine-storey 80 King St. office and retail complex. It recently underwent a $10-million overhaul of its airy public spaces and suites, which range from 2,074 to 36,895 square feet. New, refurbished, under construction or in the planning or approval stages, several projects promote a live-work theme that Mr. Sendzik, the mayor, says makes downtown especially appealing. Another mixed-use property, Carlisle Square, has been approved next to the Carlisle Suites, a 75-unit luxury rental apartment building that recently replaced the venerable Leonard Hotel. The $75-million tower is slated to include three levels of underground parking, two floors of retail and commercial space, and 16 floors of upscale apartments that together will make Carlisle Square the tallest building in town. A luxury condo project at 77 Yates Street is emerging to offer high-end living in the core. ‘There are more cranes in the air every month, and that’s a sign of the next stage of development,’ says St. Catharines Mayor Walter Sendzik.